Golf has been played for more than five hundred years, the game spreading to virtually all corners of the globe. And throughout this long, rich history, spanning more than half a millennium, with hundreds of millions of devotees having swung a club and enjoyed the game through the centuries, golf has never known a 'power couple' as influential and important as Pete and Alice Dye. 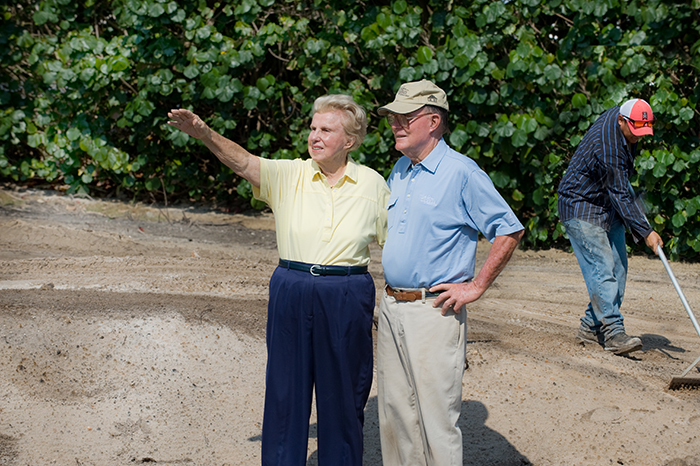 First as competitive players, and then far more essentially and permanently as course designers, Pete and Alice have made an indelibly positive impact on golf, and specifically the unique playing fields where the game beguiles us. Their vast contribution will endure well beyond their lifetimes. There can be no greater praise than that. Alice's disappointing on-course performance that long-ago day was the exception, not the rule. Long before she became Pete's most trusted ally and confidant in regards to course construction, Alice was a decorated golf champion dozens of times over. Just a short list of her accomplishments comprise half-a-hundred Amateur Championships. These include nine State Championships in Indiana, eleven Indianapolis city championships, three State Championships in Florida, the Women’s North and South, the Eastern, the Doherty Cup, and earning a berth on the 1970 Curtis Cup Team. As a senior, Alice continued her dominance, winning two USGA Senior and two Canadian Senior tournaments, as well as five Women’s Western Senior tournaments. She also won a gold medal at the Senior Olympics. Pete's playing resume doesn't glitter to the same degree as his wife's, but suffice it to say he also knew which end of the club to hold onto. He won the Ohio High School Championship, captained the golf team at Rollins College, won the Indiana Amateur, played in a handful of U.S. Amateurs, a U.S. Open, (where he finished ahead of both Arnold Palmer and Jack Nicklaus) and most importantly from an architectural perspective, played in a British Amateur. When he eventually started getting publicity for his innovative course designs, Pete famously quipped. "I don't mind the attention. I've been playing second fiddle to Alice for so long in Indianapolis I'm glad it's finally my turn!" Alice and Pete relocated to her hometown of Indianapolis after their wedding, which followed his World War Two-era military service. He became a star salesman for The Connecticut Mutual Life Insurance Company. Before he was thirty years old, Pete was one of the few Midwest members of the Million Dollar Round Table. But it was his membership at the Country Club of Indianapolis, particularly his eight-year stint as greens chairman, that really inspired him. His interest in course maintenance continued and grew, leading Pete towards agronomy classes at nearby Purdue University, usually under the tutelage of Dr. William Daniel. Despite his relative success both on course as a player and in the insurance business, Pete was compelled to follow his dreams. He decided to leave the life insurance game to devote his time to designing and building golf courses. Considering his enviable track record in the insurance business, and the financial vagaries of trying his hand at a vocation which at the time offered very little financial remuneration, it was a shocking decision. It was made even more so by the full support of his equally-enthusiastic wife. Supporting the career change and partnering with him in the new venture, Alice accompanied Pete on a visit to noted Midwest golf course architect Bill Diddle in his log cabin at Woodland Country Club in Indianapolis. Mr. Diddle was less than encouraging about the economic rewards of golf course architecture. 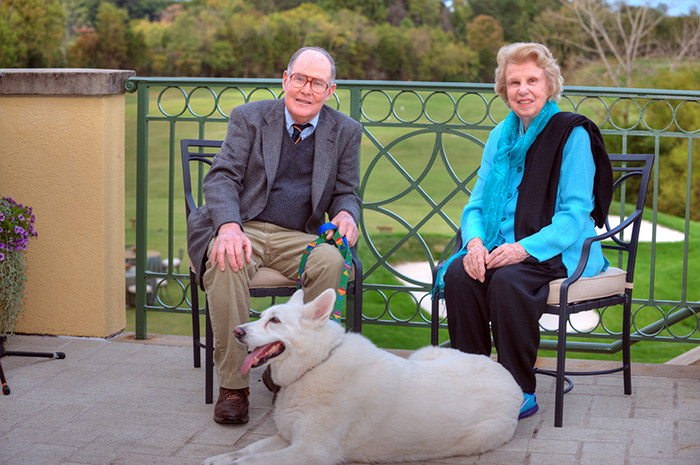 Undaunted, Pete and Alice pursued their vision, and began by building a nine hole course just south of Indianapolis called El Dorado, now known as Dye’s Walk Country Club. Soon after they built their first eighteen hole course, Heather Hills, now named Maple Creek Country Club. Pete qualified for and competed in the 1963 British Amateur, which was the seminal moment of his design career. After the tournament ended, and taking several weeks thereafter to tour the great Scottish courses, he was profoundly influenced by the features he saw. Small greens, pot bunkers, short, potentially drivable par-4 holes, undulating fairways, often wider than they looked from the teeing ground, and wooden bulkheads were among the features he began to integrate into his own work. Thus inspired, and through most of the second half of the twentieth century, Pete and Alice Dye methodically and undauntedly created a roll call of the game's most talked-about, prominent, and popular courses. The names of their creations are as familiar to avid golfers as the very clubs they carry in their own bag. Crooked Stick. Harbour Town. The Ocean Course. The Stadium Course at TPC Sawgrass. Whistling Straits. Blackwolf Run. Teeth of the Dog. Oak Tree. PGA West. The list goes on and on, with Dye-designed courses, both public-access and intensely private, hosting everything from the Ryder Cup, the PGA Championship, the Senior and Women's U.S. Opens, the U.S. Amateur, NCAA Championship, and some of the most prestigious (Players Championship and The Heritage) regular events on the annual PGA Tour schedule. Unlike the aforementioned, Alice Dye never once lifted a shovel full of dirt, never climbed aboard an earth mover or bulldozer of any kind. But nobody had more sway with Pete, nobody could influence his perspective on making a golf course fair for all players, be they young or old, man or woman, skilled or neophyte, as could Alice. Known as 'the Patron Saint of the Forward Tees,' her experience and expertise as both a championship-caliber player and course consultant lead to positions on the USGA Women’s Committee, the LPGA Advisory Council, and the USGA Women’s Handicap Committee. She was the first woman President of the American Society of Golf Course Architects and the first woman to serve as an Independent Director for the PGA of America. The honors she's received throughout her career don't match the number of championships won, but it's close. Alice is as a member of the Indiana Hall of Fame, been awarded the Heritage of Indianapolis Award, The Red Coat of Fort Wayne Award, Lily of France, and the Spirit of Golf award. She has also received the Don Rossi Award for Lifetime Contributions to Golf, the Sagamore of the Wabash Outstanding Citizen Award, the Women’s Western Golf Association’s Woman of Distinction Award, the Indiana Pathfinder Award, and the PGA of America’s 2004 First Lady of Golf Award. Alice also served as Captain of the 1992 Women’s World Cup. Just as was the case during their competitive playing careers, Pete's trophy case has more room than his wife's. However he does have the 'Big Enchilada.' Pete was presented with the Lifetime Achievement Award, inducted into the World Golf Hall of Fame in 2008. He is only the fifth architect to be inducted to the Hall, and is the only living architect enshrined. 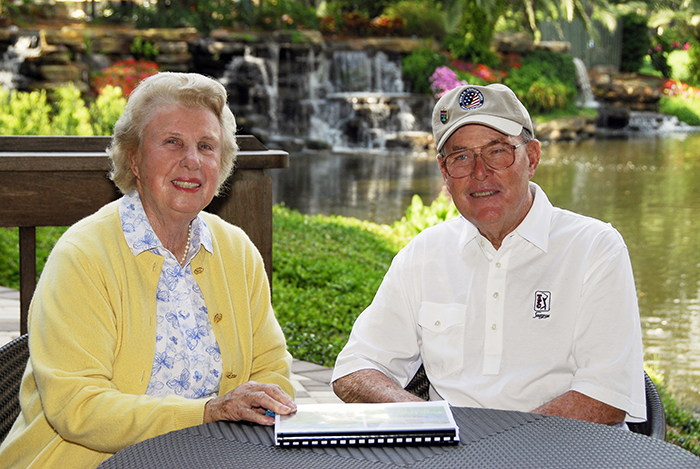 In summation, golf will never again see a husband-and-wife team like Pete and Alice Dye. What they achieved together will never be equaled, never duplicated. Their sixty-plus year collaboration is a testament to their dedication to each other, the love of the game they excelled at individually, and respect for their fellow players. Their story is as unique as the dozens upon dozens of magnificent designs around the world that they created, and bestowed upon a grateful public.